Realising that some rooms were hardly used, Nina decided to repurpose them for the family’s new way of living. “The way I saw it,” she says, “was that they would want space to entertain. With a young child, they weren’t going to be going out as much.” She turned the front room into a library where friends could gather for a glass of wine, and the middle room became a snug. “A new extension had been built as part of the refurbishment which meant that room lost its natural light,” she says. 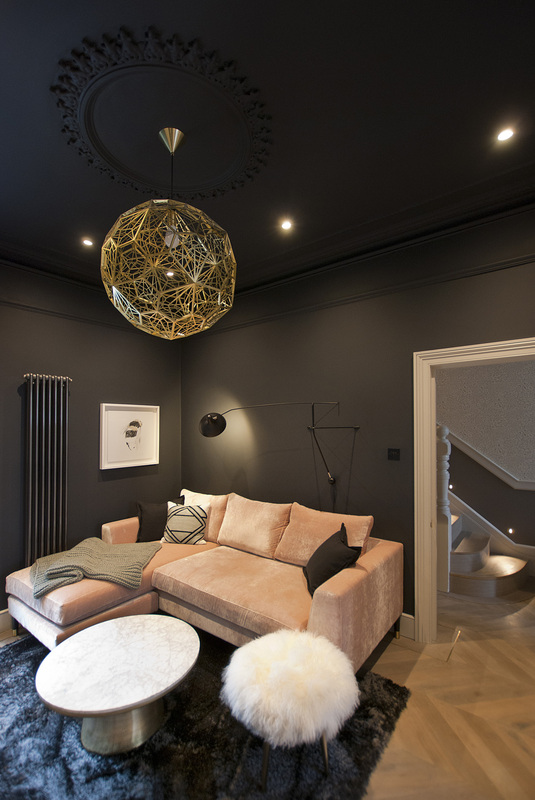 “So I thought, let’s make it even darker, really cosy, somewhere to snuggle up and watch movies.” She made the bold decision to paint the walls and ceiling black, and furnished the room with an opulent pink velvet sofa. 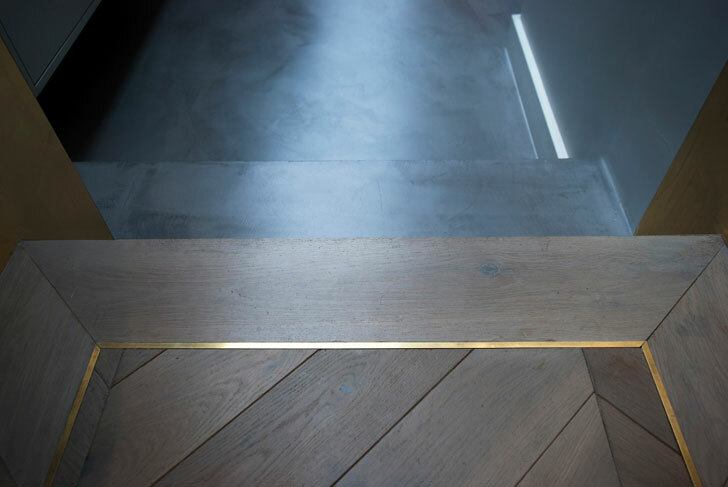 All the finishes, and those of the library, are what she describes as “a bit more prestigious” and create a demarcation between adult and child areas. 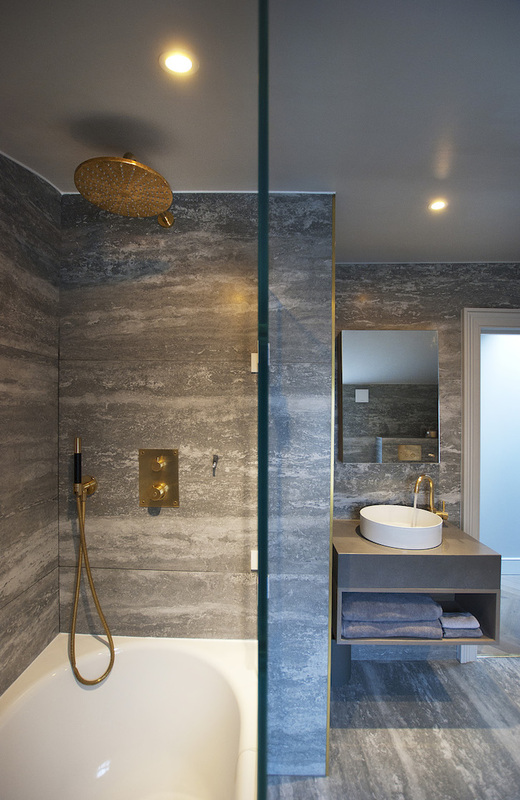 Similarly, Nina had to explain the decorative scheme to the lighting designer so that she could use her technical knowhow and knowledge of different fittings to create the right warmth, colour and tone throughout the home. “I let her know, for example, what colour paint I had chosen and she recommended the perfect lighting” says Nina. 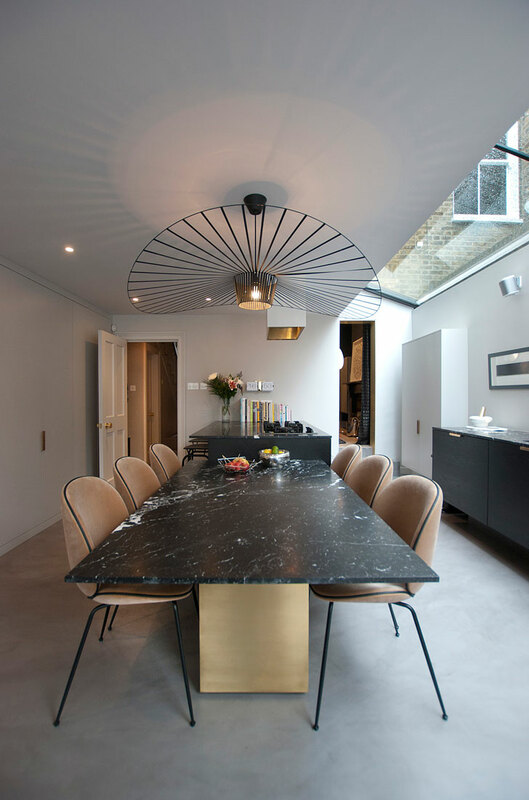 “She also knew which supplier to approach to source the right technical fittings” while Nina specified the decorative fittings. Next time, working with an interior designer to find the right antiques and art for your home.